The United States involvement in Syria at this point in time is supposed to be up for debate in Congress in about a week. 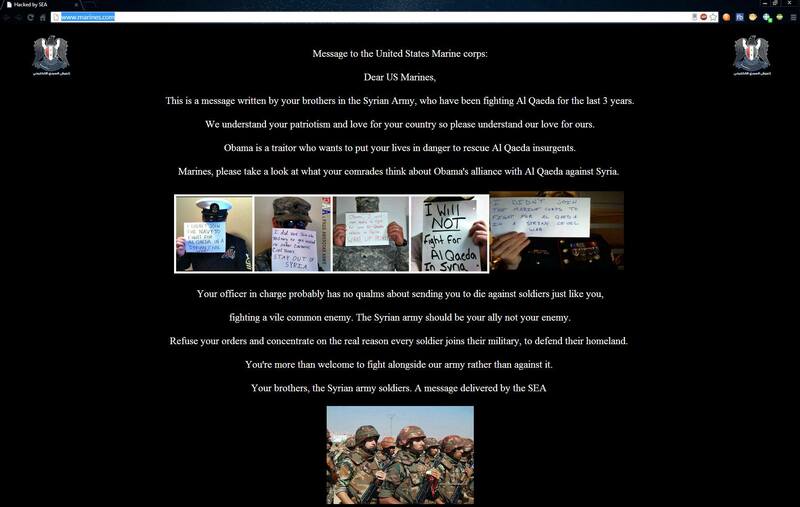 In the mean time the Syrian Electronic Army often called SEA have hacked the Marine.com website. This is only one of a handful of high profile hacks that the group has put on in the recent weeks. It has had two significant attacks against Twitter and other US media websites.